The USA Cross-Country Championships took place yesterday in Forest Park at the central ball fields. It kind of was a surreal experience. I was racing the best of the USA distance runners in my hometown, in a park that I grew up racing in. Forest Park was the first place I ran races post-collegiately just fun social races such as the Cross-country kick-off. I normally have to travel the US to find races of this caliber, and even when we travel looking for this sort of level of competition it is very rare to have so many great runners bundled into one race. It is very awesome when you have those opportunities in your hometown. Yesterday was very cool, I toed the line against a bunch of Olympians, not just one. I left all I had on the course, I don’t think I raced smart by any means. I got out very hard and I look over and I am neck and neck with Sara Hall & Magda Lewy Boulet. What went through my head was, “OH wow I better settle down!” Crazy as this was I hung with them for 1200 meters…And then I died. I couldn’t move my legs anymore, haha I was just continuing to push through it. I don’t normally race like this, and I was just trying to get out at the beginning. Didn’t think I would get out that hard. Oh well, haha it was fun. I ended up holding on for 60th place overall, next US cross-country race I will hold back more and try to run the Olympians down at the end instead of the beginning… It was a great race in STL! But, I am very ready for track! 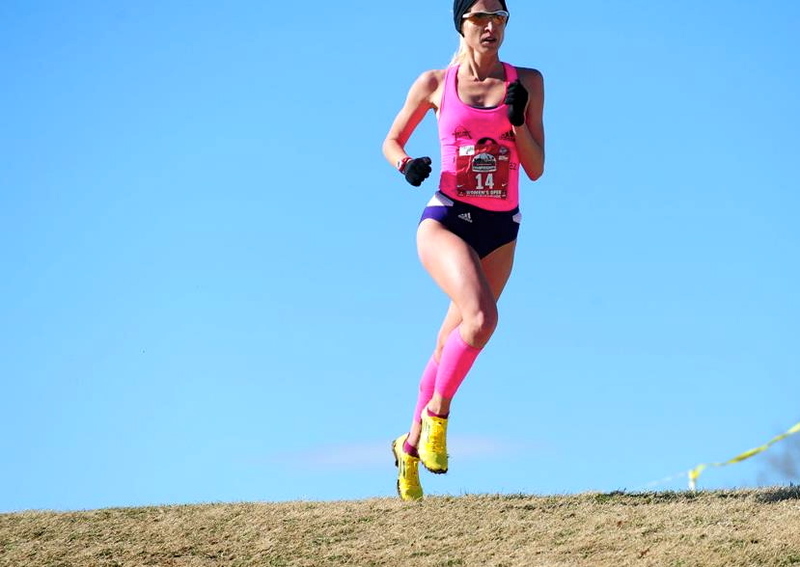 ← Runnababez’ Rookie Amanda finishes 3rd in USA XC open 4k!